In other words, we give your body everything it needs to do the work of healing and staying healthy. When your body has the building blocks it needs, it is self healing unless the issues are particularly serious or have been going on for an extended period. Naturopathy is distinct from traditional Western medicine, which is what most primary doctors practice. The emphasis in naturopathic medicine is prevention and health promotion rather than symptom treatment. Naturopaths are doctors in every sense of the word, and the practice of naturopathy is evidence based, just as Western medicine is. Instead of prescribing drugs that force unnatural treatment on the body (and have numerous side effects), naturopathy works within the body’s natural processes to effect healing. There should be very few side effects after the initial treatment begins. However, sometimes a body is so damaged from toxins and unhealthy living that the person feels a little worse before he or she feels better. Naturopathic medicine recognizes the individual’s ability to heal himself or herself. It promotes processes that help heal and removes obstacles to health. Unlike Western medicine, which merely remedies symptoms, naturopathy seeks to find and treat the causes of disease. Every naturopath avoids using harmful medications and treatment methods, will not suppress symptoms in most cases, and aligns treatment with the individual’s self-healing ability. Providing education and promoting self-responsibility are primary functions of naturopathic physicians. Naturopaths are holistic physicians and treat the individual by considering his or her environment, genetics, abilities, and attitudes. 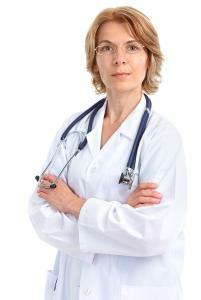 Naturopathic doctors focus on prevention and reducing risk and susceptibility to illness. Naturopathy utilizes many different treatment modalities, such as acupuncture, nutrition, botanical medicine, homeopathic medicine, and massage. Each has its own benefits and carries little to no risk to you. If you’d like to start naturopathic treatment, or find out more about how naturopathy can help you, let us know.